Prescott Named One of America's Happiest and Healthiest Cities! Prescott is the perfect Arizona city to move to if you are looking for a happy and healthy lifestyle! In fact, it was ranked as the #13 city with the best well-being for 2016 in the entire country, according to a report by Gallup-Healthways! This report examined well-being across the country and looked at how communities ranked in terms of its residents’ well-being. Five key elements were examined to determine the overall index score. These elements included Purpose (how happy residents were with what they did in their daily lives), Social (residents have supportive relationships and love in their life), Financial (residents feel financial security and low economic stress), Community (residents like where they live and feel safe), and Physical (residents are in good health). To determine these results, 354,473 adults were polled via telephone by Gallup over the course of 2015 and 2016. They were given a 0 to 100 scale to measure their well-being within each of the elements. Prescott received a Well-Being Index Score of 64.1! It was in the top 25 communities in the country for in the areas of Purpose, Financial, Community, and Physical! If you are interested in moving to Prescott, give Joe Karcie a call today. February is Perfect Month to Buy Your New Home! February is the perfect time to Buy your dream home in Prescott! Although generally not considered to be a prime home buying month due to the colder weather, the real estate market predictions for 2017 show that buyers should take the leap and purchase now. Here are the top 3 reasons to buy your new home in February! 1. 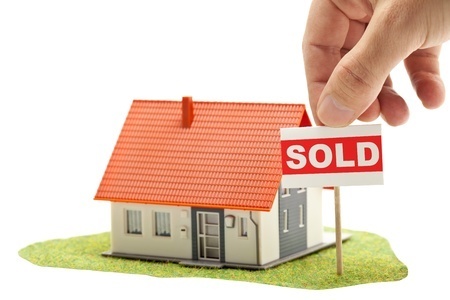 There are fewer buyers in the market. Since most home buyers are not looking to move during the winter, there is less competition for you. Inventory in homes has not decreased significantly and sellers that are in the market in winter are generally anxious to sell. This means that you have more ability to negotiate a better deal for your dream home. during the summer. The home you have your eye on now will likely only go up in price as the year progresses. Take advantage of significant savings by buying in February! 3. Interest rates are going to increase. All predictions show that interest rates are going to rise throughout 2017. In fact, they are expected to reach close to 5% later in the year. Lock in a lower rate when you purchase a home in February. Work with the Prescott area’s Top Realtor to find your dream home this February. Check out our current Featured Properties throughout the Quad Cities. 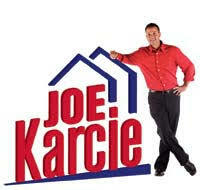 Give Joe a call today or visit his website at http://www.joekarcie.com/. Arizona Named Top State for Well-Being! 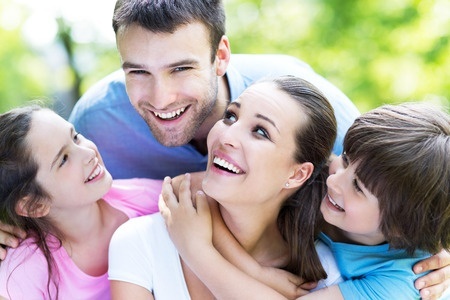 Arizona is the perfect state to move to if you are looking for a happy and healthy lifestyle! In fact, it was ranked as the #7 state with the best well-being for 2016, according to a report by Gallup-Healthways. This report examined well-being across the country and looked at how each of the individual states ranked in terms of its residents’ well-being. Five key elements were examined to determine the overall index score. These elements included Purpose (how happy residents were with what they did in their daily lives), Social (residents have supportive relationships and love in their life), Financial (residents feel financial security and low economic stress), Community (residents like where they live and feel safe), and Physical (residents are in good health) As part of the Gallup-Healthways State of American Well-Being series, the study looked at well-being across the nation and examined how well-being differed between the states. To determine these results, 177,192 adults were polled via telephone by Gallup. They were given a 0 to 100 scale to measure their well-being within each of the elements. Arizona was in the top half of the country for all five of the elements! It scored its highest in the areas of purpose and social well-being. Why not enjoy a feeling of well-being by living in the wonderful state of Arizona! Although there are many fantastic communities to settle down in, the Prescott area is truly the best. Residents enjoy a tight-knit community with year-round family-friendly events, great cultural and historic attractions, beautiful homes, and so much more. Plus, it is close to all the wonders of the Arizona natural landscape and the amenities of the Phoenix metropolitan area. If you are interested in moving to Prescott, give Joe Karcie a call today or visit his website at http://www.joekarcie.com/.